President Donald Trump declared the nation's opioid crisis a "public health emergency" last month, underscoring employer concerns about this growing epidemic. The opioid crisis cost the U.S. economy $95 billion in 2016, and preliminary data for 2017 predict the cost will increase, according to a new analysis from Altarum, a health care research and consulting firm. Addressing opioid misuse could lead to more productive workers and lower health care costs. U.S. employers are increasingly seeking ways to reduce the abuse of prescription opioids, according to new findings from the Washington, D.C.-based National Business Group on Health (NBGH), which represents large employers. NBGH's Large Employers' 2018 Health Care Strategy and Plan Design Survey found that the vast majority of big employers (80 percent) are concerned about abuse of prescription opioids, with 53 percent stating that they are very concerned. Thirty percent have restrictions for prescription opioids, and 21 percent have programs to manage prescription opioid use. The survey was conducted between May 22 and June 26, and reflects the strategies and plan offerings of 148 U.S. employers, two-thirds of which belong to the Fortune 500 or the Fortune Global 500. "The opioid crisis is a growing concern among large employers, and with good reason," said Brian Marcotte, NBGH president and CEO. "The misuse and abuse of opioids could negatively impact employee productivity, workplace costs, the availability of labor, absenteeism and disability costs, workers' compensation claims, as well as overall medical expenses." Limiting the quantity of pills on initial prescriptions for opioids. Limiting coverage of opioids to a network of pharmacies and/or providers. Expanding coverage of alternatives for pain management, such as physical therapy. Providing training in the workplace to increase awareness and recognition of signs of opioid abuse. Working with their health plans to encourage physicians to communicate about the dangers of opioids and to consider alternatives for pain management. Increasing communications and training for managers and employees to raise awareness of the issue. Identifying people who may be at risk for addiction who could benefit from help. Encouraging employees to take advantage of an employee assistance program, the health plan and other resources for help and treatment. Janet Poppe, senior director for payer and employer relations at Pacira Pharmaceuticals, based in Parsippany-Troy Hills, N.J., advises using a multitherapy pain management strategy to minimize opioid use—especially following surgery, which she called "the gateway to the opioid epidemic." 98.6 percent of inpatient surgery patients receive opioids to manage postsurgical pain. 92 percent of postsurgical patients who receive opioids for acute pain report adverse side effects such as urinary retention or respiratory depression, the treatment of which can be costly. In another study, more than 10 percent of patients who were prescribed an opioid within seven days of surgery were identified as long-term opioid users one year after surgery. Other research shows that 1 in 15 patients who receive an opioid post-surgery become chronic users. Local anesthetics, anti-inflammatory drugs and nonopioids such as sodium-channel blockers are among the options available to address pain without the addictive and debilitating effects of opioids, Poppe said. "Using two or more nonopioid pain relievers that act on the body in different ways can produce a better result, at a lower cost, than using opioids." Cover and demand opioid-free options for employees. Ask provider networks what they are doing to reduce opioid use post-surgery. Educate employees about discussing alternative pain strategies with their doctor. Pacira's PlanAgainstPain website offers resources. 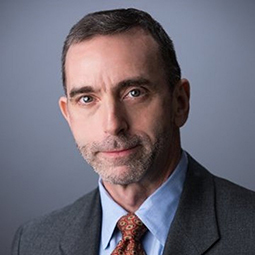 "To stem widespread opioid abuse, state actors and employers must urge insurers to remove barriers to care, including prior authorization for medication-assisted treatment (MAT) and nonopioid treatments for pain management," Caleb H. Randall-Bodman, a senior analyst for public affairs with Forbes Tate Partners in Washington, D.C., said in an e-mail. "Patients, especially those in great need, will take the most affordable and accessible treatment available. As such, the epidemic will not end until patients have access to 1) affordable, comprehensive pain management, and 2) comprehensive treatment for substance use disorders," said Randall-Bodman, who works with the American Medical Association's taskforce to reduce opioid abuse.